The number of home sales in December 2018, stood at 51,603 transactions, according to the notaries, reflecting an increase of 1.2%. By type of housing, the sale of flats showed an annual increase of 1.4%. Meanwhile, the sale of single-family homes showed a slight increase of 0.3% year-on-year. 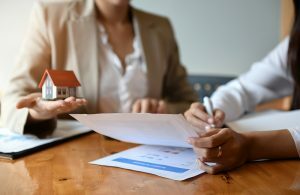 In terms of the average price, a square metre of home purchased in December reached an average price of €1,459, reflecting an increase of 5.7% year-on-year. The increase was due to prices going up for both single-family homes (+2.3%) and also flats (+6.7%). The average price of second-hand properties stood at €1,578 per square metre, an annual increase of 5.8%. The average price of new properties went up 8.3% year-on-year, to reach an average of €2,145 per square metre. Finally, in December the purchase and sale of other types of property stood at 13,987 transactions, 5.1% down on the previous year. Of those sales, 38.6% relate to land purchases. The average cost of land/plot purchases reached €264 per square metre, a fall of 13.4% year-on-year. The number of new mortgage loans taken in December was 32,316, representing an increase of 3.8% when compared to December 2017. The average amount of those new loans was €198,391, an increase of 6% year-on-year. Looking only at mortgages for the acquisition of real estate, there were 24,880 new loans, an increase of 6.1%. This was thanks to the increase in the granting of loans for the purchase of a home (+6.2% year-on-year), and the increase in mortgage loans for other types of properties (5.8% annual increase). In the case of housing, the average capital loaned reached 144,346 euros, an annual increase of 4.1%. Loans taken for the construction of a property showed a 12% increase in December, up to 619 operations. The average amount of those loans was €471,772, reflecting a slight decrease of 0.3%. On the other hand, the average amount of loans taken for the construction of a home increased by 7.3% to reach €331,350. Finally, the percentage of home purchases which were financed through a mortgage stood at 44.7%. Additionally, in this type of purchase with financing, the amount loaned was on average 74.5% of the property value.